The information published on this website is for the public's reference only. By browsing the website you signify you have read, understood and accepted the content of this liability disclaimer and obligations set forth herein. 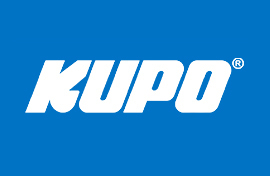 The KUPO CO., LTD, its subsidiaries and affiliates (the "Company") is not liable for any direct, indirect, incidental, punitive damage or other expenses, lost profits or lost savings arising out of your access to the website or failure to access to the website. The Company hereby disclaims the warranty of the accuracy or completeness of the information, content or data or nonexistence of mistakes, omissions, typographical errors, printing errors found on this website nor assumes the liability of damages for any direct or indirect expenses or profit losses in anyway connected with any causes described above. No representation or warranty whatsoever, expressed or implied, is made as to its accuracy, reliability or completeness by the Company Information and any other contents of this website are subject to change without notice. The Company accepts no liability (whether in tort or contract or otherwise) for any loss or damage arising from any use, misuse, inaccuracy or omission of the information or other contents published on this website. The Company further assumes no responsibility or liability for, and makes no warranties that, functions contained on this website will be uninterrupted or error-free, that defects will be corrected, or that this website or the servers that make it available will be free of viruses or other harmful components. The Company makes every effort to ensure the accuracy and completeness of the information, content or data on the website. All products and information on the website are on an "as is" basis. The Company reserves the exclusive right to update or revise the information or data on the website without the prior notice. All the information and details on the web are using for reference only. The Company is not responsible for the contents of any "off-site" web pages or any other websites linked or linking to this website. The copyright in this web-site belongs to Kupo Co., ltd. All other intellectual property rights are reserved.